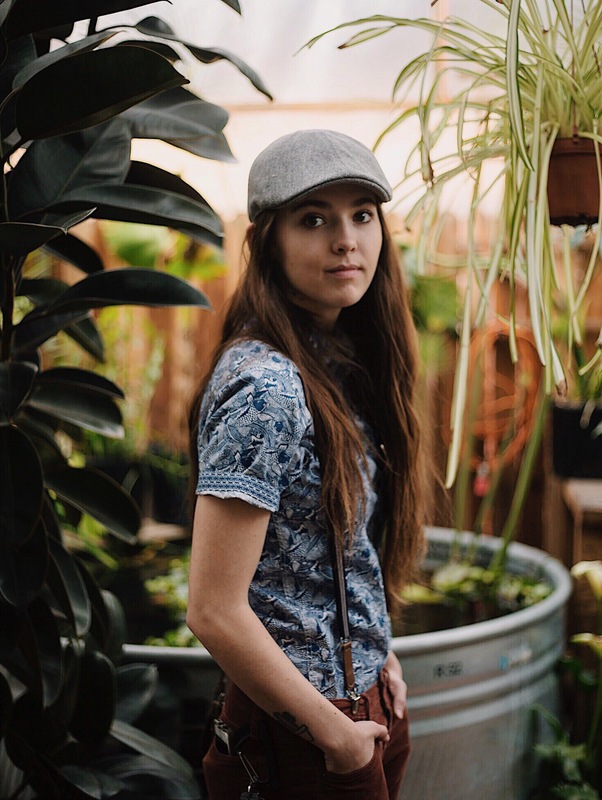 Announcing Our 2018 Elizabeth M and PT Reilly Intern – Hana Lipke! It is our pleasure to announce Hana Lipke as the 2018 Elizabeth M and PT Reilly Intern. 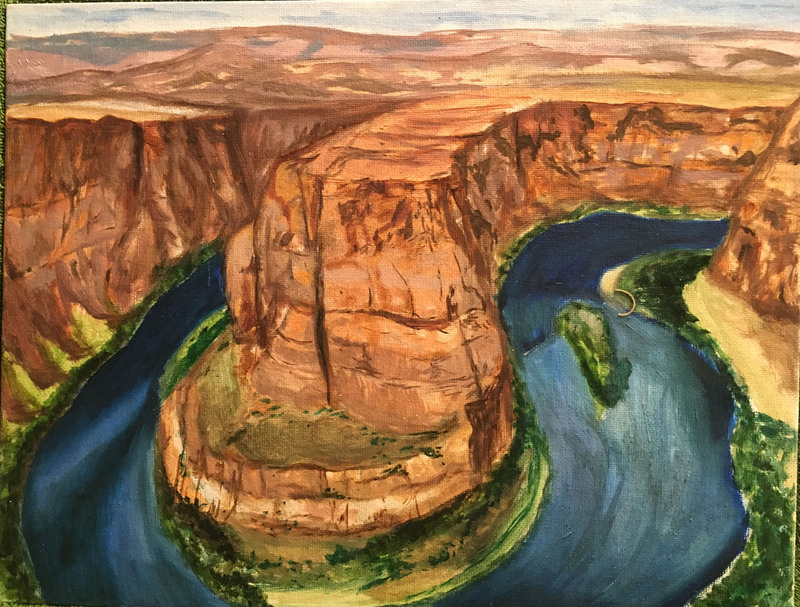 Hana will be working with the staff of Special Collections and Archives to develop a virtual and physical exhibit celebrating the centennial of the Grand Canyon as a national park. 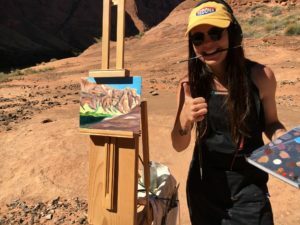 Hana is currently a junior in the Honors College at Northern Arizona University studying Art History, Studio Art with a minor in Museum Studies, Arts and Cultural Management. In her three years at NAU, Hana has received several scholarships and honors, including the Lumberjack Scholarship, John Acker Memorial Scholarship, and she’s been on the Dean’s List since her arrival. We asked Hana to share a little bit about herself so we could all get to know her. Tell us where you’re from and why you chose NAU? What are you studying at NAU? As you can guess from above, I am studying Art and Art History! 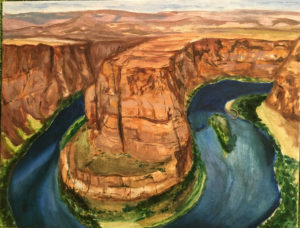 I have an emphasis in painting where I primarily work in oils. Along with these two majors I also have two minors: one in Museum Studies and the other in Arts and Cultural Management. What are your plans after NAU? I want to work in a museum – that is ultimately what I want to do. I see myself spending some time after I graduate doing internships and getting some hands-on experience in the art conservation world. Grad school is in the works, but I am taking it as it comes. We will just have to see what kind of opportunities present themselves! What interested you about the Reilly Internship? The Reilly internship, especially for this exhibit, really encapsulates all of my interests. I want to work in museums and am especially interested in curation. 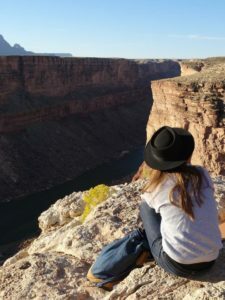 I have a strong love of nature and the Colorado Plateau in general. The archives take special care to preserve and protect pieces of our local history – I myself want to work as a conservator. Overall, this opportunity seemed too good to be true for me. It is the subject matter I enjoy with the job I enjoy as well – couldn’t be better! What are you hoping to learn from the experience? This is the hands-on opportunity I have been looking for. I have spent my undergraduate career learning of the theoretical museum and the theoretical jobs that go into making it run. I am excited to actually go to work and see what the day-to-day experience is like. I understand the conceptual aspect of building an exhibit and I understand the final product, but I am excited to experience first-hand the steps to get from A to B. I am hoping this experience can then also solidify for me what I really want to do as a career in museums. What’s your favorite part of the Grand Canyon? The North Rim holds a special place in my heart but I have spent the most time on the “East Rim”. Lee’s Ferry has been a camping destination of choice along with Badger Creek Overlook. I can’t pick this either! I love dogs for their unconditional love but I love cats for their independence. I’ll probably go with cats. They’re soft and they purr. To know more about me in general, I love to cook and rock climb! Baking has become a newly acquired passion and I spend a fair bit of time restoring antiques. My home is completely overrun with plants and I consider myself quite the gardener. Though I love camping and hanging out outdoors I haven’t gotten much of a chance this semester being in 22 credits and all! Please join me in congratulating Hana and welcoming her as our new Reilly Intern!